With the recent release of the Budget it can be difficult to make sense of what it could mean to you or your business. Hostplus has been working hard to unpack the proposed changes to help explain how you and your retirement may be impacted. We’ve broken it down into three main categories to show how each group may be affected. It’s also important to note that unless otherwise stated, all changes are proposed pending approval by parliament. If approved, most changes would commence from 1 July 2019. Contribution limit for high income members. Under the current system individuals must contact the ATO to request a search for their other superannuation accounts and to make arrangements to transfer their balances to their primary account. The Budget proposes greater power to the ATO by allowing the use of sophisticated data matching to automatically identify and consolidate multiple accounts into an individual’s main super fund. It is expected the new system will return up to $6 billion to up to 3 million member’s accounts in 2019-20. Consolidation is one of the key actions you can take to ensure you’re in the best possible position for retirement. Multiple accounts can mean multiple account keeping fees, reduced earning potential through lost compound interest opportunities and greater levels of paperwork and administration. Hostplus members don’t need to wait to consolidate their accounts. By logging in to Member Online you can search for and transfer any other accounts you may have and any ATO held lost super. The Government has introduced two measures that will impact on fees. Introducing a 3% cap on ‘passive’ account fees that super funds charge, for accounts under $6,000. The Government has proposed that ‘passive’ fees will include investment and administration fees. Secondly, exit fees will be banned across the entire industry allowing consumers greater freedom to change and consolidate their funds. This change will have no impact to Hostplus members as we have never charged exit fees. whose accounts have not received a contribution in 13 months and are considered ‘inactive’. Currently, most new super accounts are created with Death and Total & Permanent Disability (TPD) cover automatically included. Under current arrangements, members must actively opt-out of this coverage either during the application process or in writing after the account has been created. Under the new proposal affected fund members will have 14 months from 8 May 2018 to opt-in to maintain their insurance cover or it will be switched off. If this impacts you as a Hostplus member, we’ll be in contact closer to the effective date with further details and information about what options are available. In the meantime if you wish to opt out of receiving insurance or conversely increase your insurance, you can do so quickly and easily 24/7 by accessing your account via Hostplus Member Online. If you’re unsure about the right level of insurance cover for you, you may benefit from a consultation with a dedicated Hostplus Financial Planner. Call us on 1300 467 875 to book your initial conversation today. Individuals earning more than $263,157 across multiple employers will be able to nominate that their wages from certain employers are not subject to the Superannuation Guarantee (SG). This is to prevent these members from accidentally exceeding the annual $25,000 contribution limit which could see individuals facing an unexpected tax bill. The proposed changes will allow high-income earners greater flexibility when it comes to making voluntary, after-tax contributions to their super or to use the additional funds elsewhere. Changes impacting members who are approaching or are in retirement largely relate to increased earning capacity and a relaxation of contribution requirements. The Pension Loans Scheme currently allows a subset of the retiree population to engage in a ‘reverse mortgage’ style system to release equity in the form of an income stream without affecting their ability to claim the Age Pension. The Government proposes opening access to this system to all retirees including self-funded and full rate Age Pensioners. Taking part in this scheme can result in greater cash flow for retirees while maintaining their existing benefit arrangements. Full pensioners will be able to boost their income by as much as 50% of the Age Pension. If you’re unsure whether this scheme is right for you and your circumstances, you may benefit from speaking to a Hostplus Financial Planner. Call us on 1300 567 875 to arrange your initial consultation today. The 2018-19 Budget proposes increasing the amount that pensioners can earn without affecting their payment from $250 to $300 per fortnight. This measure will also apply to self-employed retirees. Retirees with account balances below $300,000 will be exempt from the existing contributions work test for the first year of retirement meaning those aged between 65 and 74 will be allowed to make voluntary contributions for the first year that they do not meet the work test requirements. The Government will introduce a framework for Comprehensive Income Products for Retirement, requiring Trustees to develop a strategy that helps members achieve their retirement income objectives. 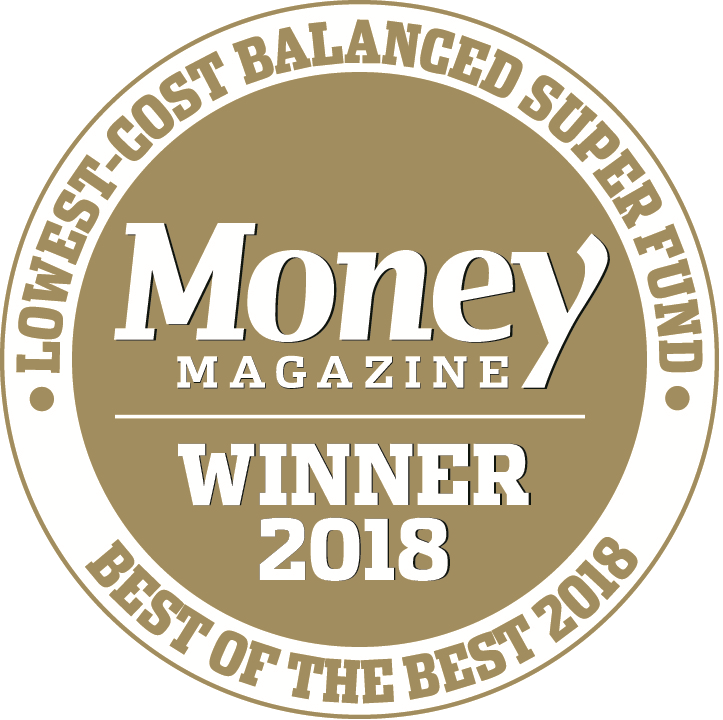 Similar to the MySuper products introduced as part of the Stronger Super reforms in 2013, super funds will be required to offer “MyRetirement” options to members. As with MySuper the Government proposes a set of simplified and standardised requirements for product disclosure documents designed to benefit consumers. Hostplus is fully committed to supporting our members throughout their working lives and well into their retirement with our quality product offerings. The 2018-19 Budget confirmed no changes to the timetable for the increase of Super Guarantee (SG) from 9.5% to 10% from July 2021 and reaching 12% by July 2025. The Government also proposes an extension of the instant asset write off for businesses with an annual turnover less than $10 million as further explained below. Employers should be mindful of the proposed SG exemption for high income earners. Under the 2018-19 Budget, individuals earning over $263,157 across multiple employers will be able to exclude themselves from SG contributions from certain organisations. This is to prevent these members from accidentally exceeding the annual $25,000 contribution limit which can see individuals facing an unexpected tax bill. First introduced in the 2015-16 Federal Budget, businesses with a turnover of up to $10 million will again be eligible for an instant asset write-off of up to $20,000 with the scheme to be extended through to 30 June 2019. Digital giants including Facebook and Google will face tougher requirements for tax deductions. Changes to the “thin capitalisation” rules are expected to raise $240 million over four years. The Government also plans to crack down on tax avoidance by digital and tech companies. In a related space, greater GST requirements will be enforced for offshore digital travel agents to ensure they face the same tax treatment as local businesses. It's important to get professional advice on all financial matters that affect you to ensure you're getting the most out of your super. That's why Hostplus gives you access to licensed financial advisers. To make an initial no cost or obligation appointment, call us on 1300 467 875 8am–8pm, Monday to Friday or go to hostplus.com.au/advice. We will continue to keep you updated on super-related matters although if you would like to review the commentary first hand, visit budget.gov.au or for up-to-date press releases direct from the Treasurer simply visit treasurer.gov.au.